APC OUT -- Witamy na stronach Tenzi Sp. z o.o. 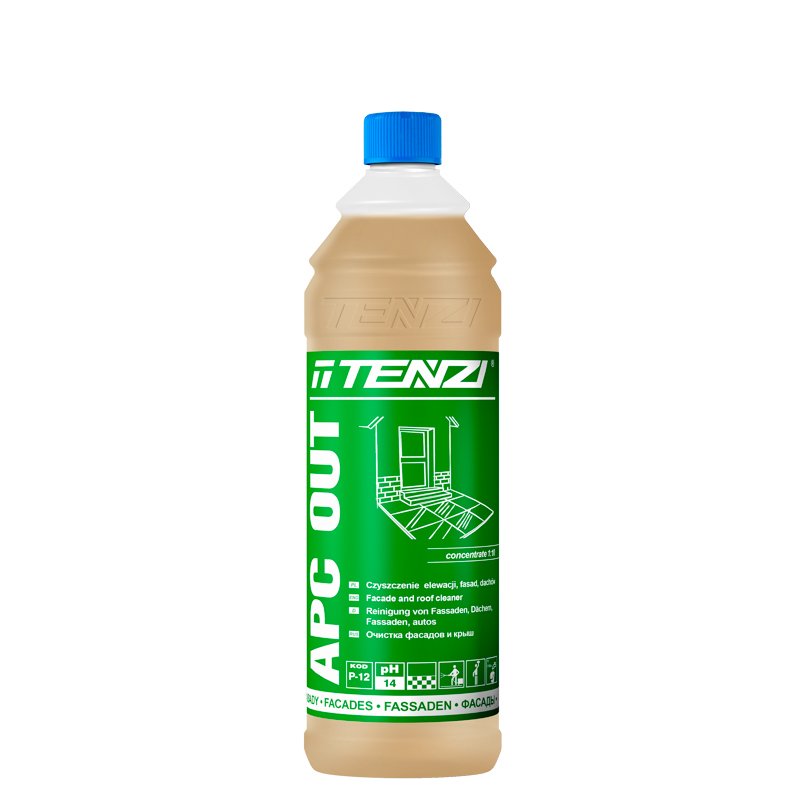 A highly effective alkaline cleaner for cleaning facades, roofs from soot, organic contaminants (plants, bugs, excrement, rotting process), oil contaminants (grease, oils, refrigerants). for better result rinse with hot water at temperatures 70-80°C up to 100-130°C. Small surfaces can be cleaned with a medium-hard bristle brush and rinsed away with hot water.